Why give to the DLC Nurse & Learn? The DLC Nurse & Learn provides childcare for children ages birth to 23 years old of all abilities, including those with severe cognitive and physical impairments and/or medical need. My wife and I wish to express our gratitude to the DLC by asking you to send them a donation of $10 (or more). We run this new-music site (August’s List) for the purpose of raising funds for the DLC. We measure success not in terms of number of views, but money raised. 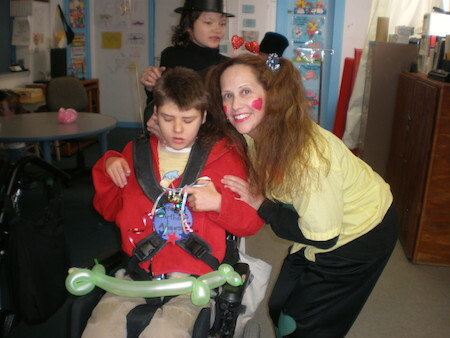 When we moved from San Francisco to Jacksonville in 2001, we began looking for a daycare facility that would admit our son, August, who was born with severe and multiple impairments—cerebral palsy, cognitive impairment, and blindness (read about August here). No organization in Jacksonville would accept him on account of his impairments, except one—the DLC Nurse and Learn. Founded in 1989 by Amy Buggle and still run by her, the DLC is a daycare and after-school facility. It takes kids and young adults ranging from infants all the way up to people aged twenty-three. The DLC is a great boon because it allows parents and guardians of children with severe and multiple impairments to remain working. Without the DLC, either my wife or I would have had to stop working to stay home with August, something we could not have afforded to do. In sum, the DLC saved us. Every weekday after school and during holiday breaks, August went to the DLC. Amy Buggle and the staff not only were willing to accept him, but they treated him with respect and loving attention, recognizing his dignity as a human being. Whenever our son was at the DLC, my wife and I could relax, knowing that he was in caring hands. He started attending in 2001 at the age of two and continued there until he passed away in 2013. Some of his ashes are mingled with the roots of the Persian lime tree growing outside one of the DLC’s two entrances. Please support this worthy organization by making a gift of $10 (or more). Or, if you just like the music, show your appreciation by sending the DLC ten bucks. Please go to the link below and, on the next screen, look on the right-hand side for “Give to Kids.” All major credit cards as well as PayPal are accepted. The DLC is a 501(c)(3) non-profit organization, so donations should be tax deductible. Please note that you are donating in August’s memory or that you heard about the DLC from Augustslist.com. Give to the ⇒ DLC Nurse & Learn here. If you cannot afford to give money, then go to “How Can I Help” on the site. The organization needs bibs, crib sheets, cleaning supplies, Kleenex, diaper wipes, plastic cups, bowls, and spoons, and so forth. 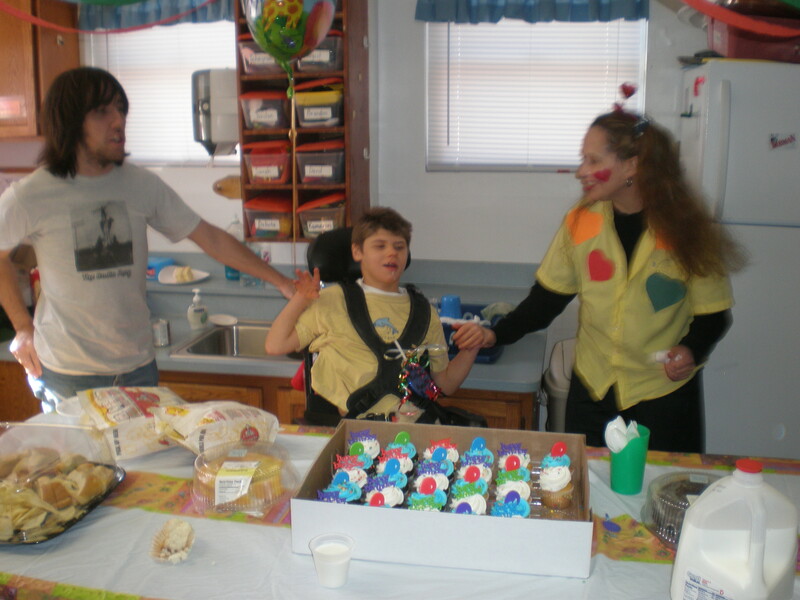 The DLC Nurse & Learn is an inclusion child care center for children of all abilities. Children with Cerebral Palsy, Down’s Syndrome, Spina Bifida, Microcephaly, seizure disorders, g-tubes, apnea monitors and other special needs are welcome. It has classrooms for infants-5 year olds, including VP-K for 4 year olds. It also has after-school programs for children up to 22 years of age. Scholarships are available for families that qualify. Its services include child care, preschool, extended day programs, registered nursing care, physical therapy, occupational therapy, speech therapy, early intervention, developmental screening and low adult to child ratios for more one-on-one attention to individual goals for each child. DLC provides an inclusion preschool environment for children with and without developmental delays where each child is taught at their own pace. It uses the Links to Literacy and Foundations for Success Curriculum’s. It is located on the Westside, but serve children all over Jacksonville and North East Florida. DLC Nurse & Learn was a 2010 Sapphire Award Honoree with the Blue Cross Blue Shield Foundation.